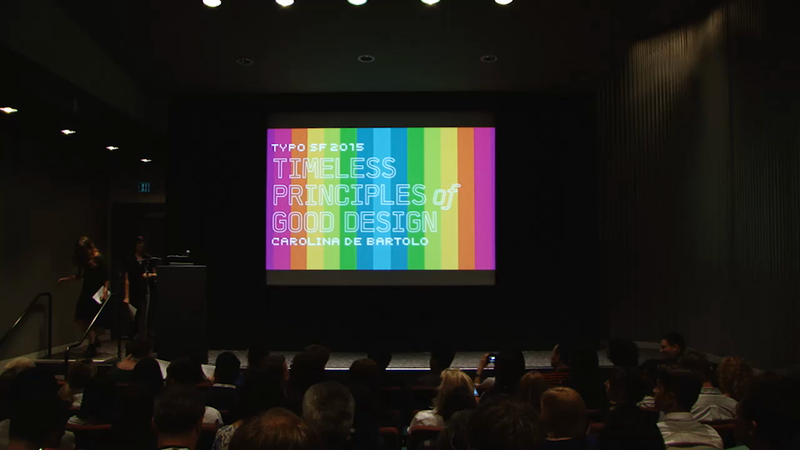 Carolina de Bartolo is the designer, author and publisher of the award-winning typography textbook, Explorations in Typography: Mastering the Art of Fine Typesetting (co-authored with Erik Spiekermann) and its companion app of the same name. Her retro-cool pattern font, TXT101, was created in 2013 in collaboration with Psy/Ops Type Foundry. An easy new way to create mock text and borders, TXT101 includes 52 styles in four weights. A graduate of the School of Design at Carnegie Mellon University, Carolina is a systems thinker who also revels in details. She began her career designing statements and forms at Siegel & Gale in New York City and later worked on the Citibank banking machine user-interface design team at Two Twelve Associates. During her tenure as design history chairperson at AIGA San Francisco, she founded the chapter’s library. She has been an MFA thesis advisor and taught all levels of typography as well as design history at Academy of Art University in San Francisco since 2000.